It looks like the social network is developing a new Android dialer which relies upon its huge database of users' phone numbers to essentialy use Facebook as the world's largest phonebook. The app goes by the name of 'Phone', and the company only went as far as to confirm its existence to Venturebeat, noting that it's just one of the things it has in testing and there's nothing to announce at this time. In addition, Android Police landed a screenshot of a Phone installer that mistakenly went live for a moment. It contained the app's description, which sounds something like "shows you info about who's calling and automatically blocks calls from commonly blocked numbers". 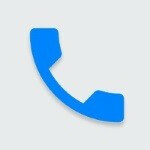 Most likely, the dialer will integrate with Android to tell you which one of Facebook's 1.39 billion users with a registered phone number is calling you this very moment, even if you don't have their number in your contacts. The blocking functionality is self-explanatory. Hopefully, Phone (if it ever materializes) will enjoy more success than the Facebook Home launcher, which flopped weeks after its launch. could be cool because numbers i don't recognize call me all the time. That... actually sounds pretty useful. I'm not sure how well it'll block telemarketers though, because every time i'm (or anyone I know) is contacted it's through some different random number. I wonder if whomever is calling you merely needs a facebook account with their number registered, or if they have to have the facebook app downloaded onto their phone for them to be identifiable though? Or vice versa. i wonder if you have to have the facebook app downloaded on your phone for it to work, or simply an account. Still, sounds like it could be interesting. Here's hoping it's not as much of a battery eating monstrosity as the official facebook app is.